Legal Billing software is designed for busy lawyers and other legal professionals who expect to spend their valuable time working on billable hours rather than struggling with hard-to-use legal billing software. This Legal Billing program offers simple tools you need to enter time and expenses, print invoices and get paid for the work you performed without a learning curve requiring extensive training! Even share the data with others on network. 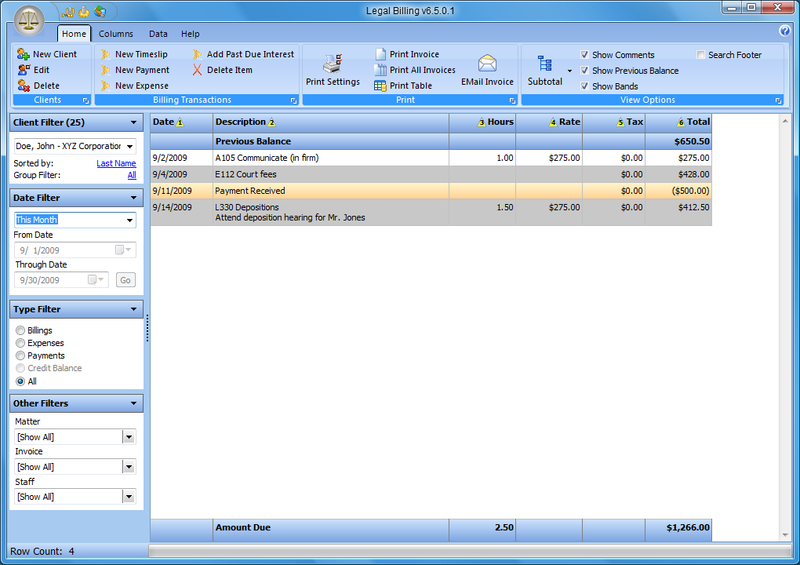 Legal Billing software is designed for busy lawyers and legal professionals. ...... The result is a flexible billing program ideal for small law firms and for sole practitioners. Address Book - Legal Billing has a built-in address book of contacts and can work standalone OR it be combined with one of our contact management programs to share the contacts betweeen both applications to avoid retyping their information on statements or documents. With just a click, drag and drop, you are managing your client's case including your upcoming schedule and task reminders as well as tracking your billable time! A flexible billing and invoicing software for all kinds of professionals . Forecast the impact of billing fee changes on Revenue, Profit and Clients. Manage Houses, Factories, Condominiums etc. Print Bills, retain records. Free Legal Advice, Law Assistance and Online Resources. Generate recurring bills / invoices quickly and easily. Qweas is providing links to Legal Billing 7.5.1.2 as a courtesy, and makes no representations regarding Legal Billing or any other applications or any information related thereto. Any questions, complaints or claims regarding this application Legal Billing 7.5.1.2 must be directed to the appropriate software vendor. You may click the publisher link of Legal Billing on the top of this page to get more details about the vendor.